I thought I had moved a copy of this to my current blogging location but it appears not. Just an attempt to help others find great computer science education blogs. These are not really in any particular order. If there are more blogs I should be listing (and following myself) please let me know in the comments and I will edit them in. Mike Zamansky Mike runs the computer science program at Stuyvesant High School in New York City. He’s a very creative person. he’s also built and maintained a community of students who stay connected after graduation. Garth's CS Teacher Blog Garth Flint is a teacher at a private Catholic school in western Montana. Garth always gives me things to think about. Mark Guzdial – Georgia Tech, GA, US Computing Education Blog Mark is probably doing more research in how to teach computer science right than anyone else I know. His posts include information about the CS Principles course, he is on the advisory board, which will probably be a new APCS course. He talks about the work they are doing at Georgia Tech both in terms of teaching new and different courses there as well as the Georgia Computes! program that is helping to develop more CS education at the HS level in Georgia. I wish I wrote half as well as Mark. Whether if be his commentary on the various articles he finds or information about his own work or discussion of things his graduate students are doing what you will find here are well thought out, well written and informative posts. His are the first posts I read most days. Barbara Ericson has started blogging at Computing for Everyone Barb is an assistant professor in the School of Information at the University of Michigan. She has been working in computing education research since 2004. She was at Georgia Tech as a research scientist from 2006 to 2018. Her reports on participation in APCS are legendary. Bob Irving - Bob is a middle school teacher at Porter-Gaud School in South Carolina. 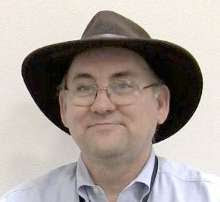 Øyvind Jakobsson posts as Lektor Øyvind and teaches computer science in Norway. His blog is in English though. CSTA Blog The CSTA blog is updated by various members of the CSTA board. I find it essential for keeping up with news from CSTA. 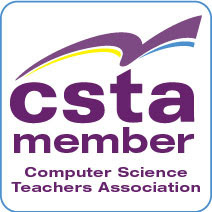 I highly recommend CSTA membership for anyone who teaches computer science in pre-collegiate education. Primary Computing by @hengehall Ben Hall is a Computing teacher and coordinator. and a CAS Master Teacher in the UK. Jeff Yearout - Noobie's Adventures In K-12 Computer Science Teaching - Jeff is really just starting out as I update this list but I hope he keeps it going. CS0 is a blog by Brett Becker, lecturer in Computer Science at University College Dublin and Computing Education researcher. Laura Blankenship writes mostly about teaching CS at an all girls' school. And the occasional post about her kids.
.@MrAColley a Lead Practitioner of Computing, ICT and T&L in the UK. I've shared some of his BBC Micro:Bit resources. HS Comp Sci Thoughts - Dan Schellenberg teaches high school Computer Science and Mathematics in Saskatoon, SK, Canada. William Lou – Look Who’s Learning Too Teacher of Computing. Believes in preparing students for life in the uncertain and exciting future. Harvey S. Taylor’s blog – Harvey is passionate about education and teaching Business, Humanities and Computing. Dan Anderson - A Recursive Process Math teacher seeking patterns. Evan Weinberg - Currently teaching Math 10, IB math(s) & physics, and web programming at an int'l school in China. mathematicsandcoding Mathematics, mathematics education and computer programming. - Dr Bennison Secondary mathematics teacher. Maths PhD. Computer coder. Leigh Ann Sudol-DeLyser In need of a Base Case Leigh Ann Sudol works for the NYC Foundation for CS Education as a Program Manager and was a high school computer science teacher in New York state for a number of years. Leigh Ann is the person who trained me to grade the AP CS exam the year I was a reader. Communications of the ACM: blog@CACM The CACM blog has posts from some of the top people in computer science. Some of the posts are very technical but many are potentially interesting for students, teachers and CS hobbyists alike. Stacey Armstrong is a computer science teacher at Cypress Woods High School in Houston, TX. An accomplished APCS teacher and certified APCS consultant for the College Board. He writes about general CS concepts and issues. Christian Thompson's blog Christian Thompson (no relation) is the Education Technology Integrator at Sacred Heart Tokyo, Japan. I was attracted to his blog by a series on creating a text adventure game in Python. See Interactive Fiction in Python Introduction for more on that. Ray Chambers is an ICT teacher Lodge Park Technology Collect in Corby Northamptonshire, England. Ray is huge in developing applications that use Kinect in education. I find his projects both inspiring and potentially quite useful. Eugene Wallingford, University of Northern Iowa, IW, US Knowing and Doing Eugene writes a lot about the things he does in class and I find this very informative. Teaching and Learning is the top item in his blog categories list. Computing and Software Development as close behind. This is another blog I like for its well thought out and well written posts. And like a lot of Mark Guzdial’s posts, the posts here often make me think. And I am always learning from this blog as well. From insights into pedagogy to societal issues in computing I find a lot of value in this blog. Gail Carmichael, PhD student at Carleton University in Canada The Female Perspective of Computer Science I like this blog for its perspective and for the insights she shares from the courses and workshops that she teachers. She also does research in augmented reality and has good knowledge of games as teaching tools. And of course gender equity, something I care deeply about, is something she is well qualified to write about. So I learn a lot. Rob Miles – Hull University, UK Rob Miles' Journal The first thing you have to know about Rob is that he has a great sense of humor. The second thing is that he knows what he is talking about with regards to game development and programming for mobile devices. Rob has written a lot of good curriculum resources and is one heck of a speaker. On his blog he shares a lot of his resources as well as a lot about his life. This is not all tech all the time by any means. So if you take things too seriously read about the other blogs here. But for me I enjoy his travel talk and outstanding photography as well as the insights into teaching and software development. Rob is one of the first bloggers I ever started reading and I enjoy his work a great deal. Planet CAS an aggregation of "Blogs about Computing at School in the UK." Some very good writers contribute there. I just recently discovered this system and I should have had it in here before I was reminded in the comments. What You Teach By Tracy Rudzitis who teaches computer classes to 6th and 7th graders. Teaching Computer Science by Crystal Furman, Computer Science Teacher, Brookwood High School, Gwinnett County Public Schools. Computing Education a research blog about computer science education by Cait Sydney Pickens, a graduate student at Michigan State University and a Noogler. A Noogler is a new employee at Google by the way. She is doing some cs education research. Existential Type Robert Harper, Carnegie Mellon University – Very technical and I don’t always follow everything. I've gotten a lot of value from Planet CAS, an aggregation of "Blogs about Computing at School in the UK." Some very good writers contribute there. I've made the updates and additions suggested in the comments. I'm always looking for more so feel free to leave them in the comments.